The Internet of Things is putting the long promised dream of home automation at our fingertips, whereever we may be. In this tutorial, I'll show you how to control Nest Products from a Mac. 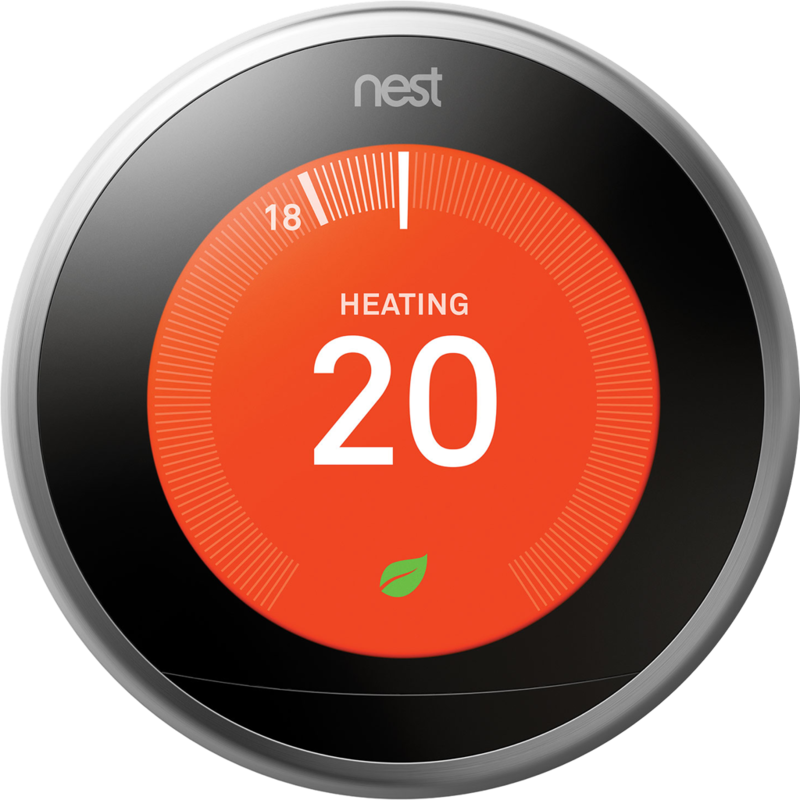 Nest Labs—a company founded by Tony Fadell the former Senior Vice President of the iPod Division at Apple—is a home automation producer of programmable Wi-Fi-enabled devices. Founded in 2010, Nest started with the learning thermostat, introduced in the US in 2011, later rolling out the Protect smoke detector—in 2013—then indoor and outdoor security cameras in 2014 and 2016 respectively. Nest products communicate with each other and can be controlled from a Smartphone. For me, the problem is when I'm in the office and the room starts to get a bit chilly. My office is in the loft and it's a long way downstairs to go to adjust the thermostat a degree or two ...and, again, having to return to turn it down or off. It might be that I do not have my smartphone to hand, perhaps it is charging elsewhere. I'd like a way to be able to control Nest devices from the Mac. Nest offers a number of apps for various devices in order to put home automation at your fingertips. Use the latest version of Safari, Chrome, Firefox or Internet Explorer / Edge browsers on the following operating systems. Apart from using the Nest website in a browser, there is no dedicated Nest app for desktop operating systems. Of course, it is easy enough to launch a web browser, navigate to https://home.nest.com/, find the account username and password, type them in, log in and adjust the temperature. On the other hand, the convenience of a desktop app affords immediate control of the thermostat when desired. And there are solutions for this. None are official Nest apps, and all have not been updated in some time. Specifically two, one and two years respectively at the time of writing. Whilst some like having control from the menubar—others hate the additional clutter—it can be useful to have quick access from the desktop. The solution that I propose is no cost, other than your time, and places an icon on the dock thus affording quick access when needed. The solution that I'm showing you essentially looks like an app and is created by using a site-specific browser, or SSB. The solution that I'm showing you works on Macs. In a web browser, visit the Fluid app website at fluidapp.com and download and install the application. Fluid is an application that allows for the creation of site-specific browsers, or SSBs, that just happens to be a great way of making webpages appear like apps on the Mac. The advantage of this is that just one site resides in a SSB. The SSB can be pinned to the dock for easy access and the closing of a web browser will not close an SSB. When configuring sites as separate apps in Fluid, you can choose to use the website favicon or create it with a custom icon. In the Name: field, enter Nest, or whatever name you'd like to call the app. For the time being, leave the Icon: field as Use Website Favicon. You can change this later if you wish. Click the Create button to create the Nest app. When created, the app will be automatically placed in the Mac's Applications folder and display a message saying Success! From the Success! dialogue window, either click Launch Now or Reveal in Finder in order to launch the Nest app. The latter will show the Nest app in the Applications folder from where it may be launched. Once launched, the Nest app appears as an icon in the dock. In this example it has taken the favicon of the Nest website. Click on the icon to launch the Nest app. Enter your Nest account Email address and Password into the field in the Nest app. This is just the Nest website wrapped into an app. Once you've signed in, it will not be necessary to sign in again each time you open the app. Your credentials will be remembered. Once you've signed-in, you're able to control the temperature settings on your Nest thermostat without having to leave the Mac or reach for another device to control it. Exploring the interface, you can check and amend the schedule, check the history of energy usage, and check your Nest account settings. If you have other Nest devices, such as the Nest Protect smoke alarm shown here, you can monitor those and control them also. In the screenshot above, you'll see that I have a Nest thermostat icon that looks more visually appealing that the blue and white Nest website favicon. If you'd like this, too, create a 1024x1024px icon or download the one I've included with this tutorial. With the Nest app open, from the menu bar go to Preferences > General to open the General Preferences window. Nest to Application icon: click the Change... button and follow to upload a chosen 1024x1024px icon. Quit and restart the Nest app to see the new icon. If you wish, secondary-click on the app icon in the Dock, select Options then click Keep in Dock. Fluid app is a handy little app for creating SSBs, or site-specific browsers, ideal for applications such as the Nest website. I've previously shown you how to create a World Clock app in the Dock of a Mac. Fluid is useful for all sorts of other sites that you'd like to run separately, and appear as an app in the Dock, from other web browser pages.